Since I fell behind on this feature during the holidays and ensuing new year busyness, this post includes purchases and copies for review consideration from the last few weeks. There have been no new posts since last weekend’s holiday edition feature, but I’m currently working on a review I hope to have ready to post early next week! 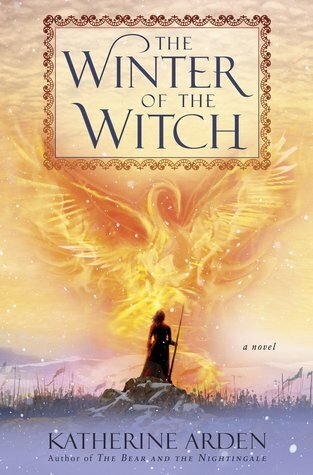 The final book in Katherine Arden’s Russian-inspired Winternight Trilogy was released earlier this month (hardcover, ebook, audiobook). 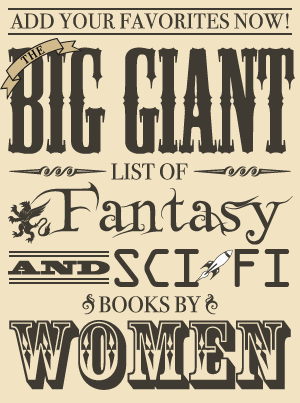 The publisher’s website has an excerpt from The Winter of the Witch, as well as a list of upcoming tour events for Katherine Arden. I loved both The Bear and the Nightingale and The Girl in the Tower, and I’m excited to read more about Vasya! Serial Box will be publishing season one of The Vela this year. It’s possible to subscribe to read one chapter at a time as they are released or purchase the entire season to read at once, and it is available for preorder. The publisher’s website also has a season one preview. 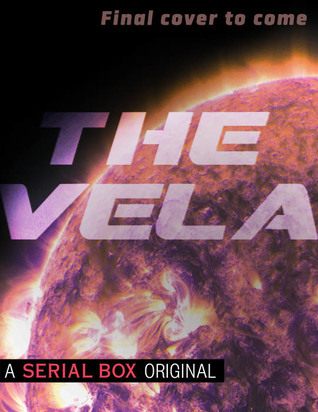 The Vela is a space opera written by Machineries of Empire author Yoon Ha Lee, Wayfarers author Becky Chambers, Russell’s Attic author S. L. Huang, and An Unkindess of Ghosts author Rivers Solomon. You can read more about The Vela on Becky Chambers’ blog. Orphan, refugee, and soldier-for-hire Asala Sikou doesn’t think too much about the end of civilization. Her system’s star is dying, and the only person she can afford to look out for is herself. When a ship called The Vela vanishes during what was supposed to be a flashy rescue mission, a reluctant Asala is hired to team up with Niko, the child of a wealthy inner planet’s president, to find it and the outer system refugees on board. But this is no ordinary rescue mission; The Vela holds a secret that places the fate of the universe in the balance, and forces Asala to decide—in a dying world where good and evil are far from black and white, who deserves to survive? A friend read the Court of Thorns and Roses trilogy a few months ago and sent me the first two books as a gift. I had mixed feelings about A Court of Thorns and Roses (I didn’t like the romance or most of the characters, yet I kept thinking about it and was curious about the next book). Then I got about halfway through A Court of Mist and Fury, which is a far better book that addresses many of the issues I had with the first, and found myself completely HOOKED. 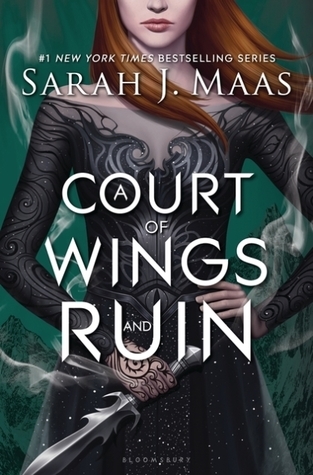 I couldn’t start A Court of Wings and Ruin fast enough after I finished the second book, started reading it immediately, and also enjoyed it immensely. Entertainment Weekly has a brief interview with Sarah J. Maas and an excerpt from A Court of Wings and Ruin. You guessed it: I finished reading A Court of Wings and Ruin and wanted MORE. 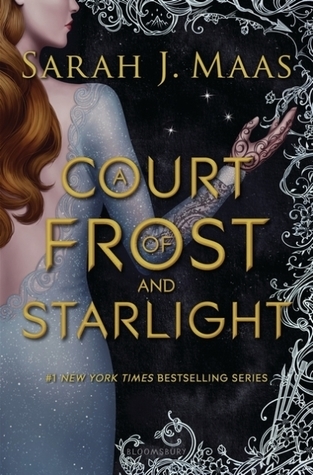 A Court of Frost and Starlight is set between the end of the trilogy and the upcoming books in the spin-off series (which I am desperately hoping is about Nesta). Entertainment Weekly has an excerpt from A Court of Frost and Starlight. 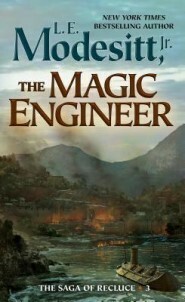 The Magic of Recluce, The Towers of the Sunset, and The Magic Engineer (The Saga of Recluce #1–3) by L. E. Modesitt, Jr. The first three Saga of Recluce books were recently re-released with new covers for mass market paperback and ebook. 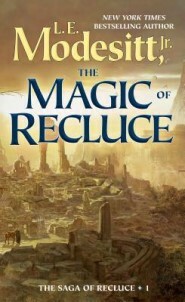 The Tor-Forge blog has an excerpt containing the first five chapters from The Magic of Recluce. The description below is also from the first book of the three. L.E. 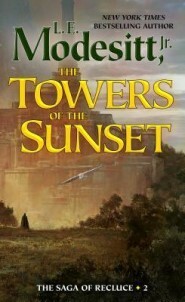 Modesitt, Jr.’s The Magic of Recluce begins his bestselling fantasy series the Saga of Recluce, which is one of the most popular in contemporary epic fantasy. Young Lerris yearns to find a place in the world better suited to his skills and temperament. In Recluce this means taking one of two options: permanent exile from Recluce or the dangergeld, a complex, rule-laden wanderjahr in the lands beyond. Many do not survive. Lerris will need magic in the lands beyond, where the power of the Chaos Wizards reigns unchecked, and he must learn to use his powers in an orderly way before his wanderjahr, or fall prey to Chaos.